I was quite disappointed with the storyline, perhaps my expectation is too high since I last watched Disney's movie "Frozen". There's too many singing, almost all the conversations are expressed through songs, and none of the songs catches my fancy, just like Les Miserables. Oh I love Red Riding Hood's voice. I also expect to see scenes of Cinderella dancing with the prince and how Jack had stolen all those valuables from the giant, apparently it was not shown which I think due to the length of the movie. Rapunzel, Prince, Cinderella, Mr. Wolf, Baker's wife. 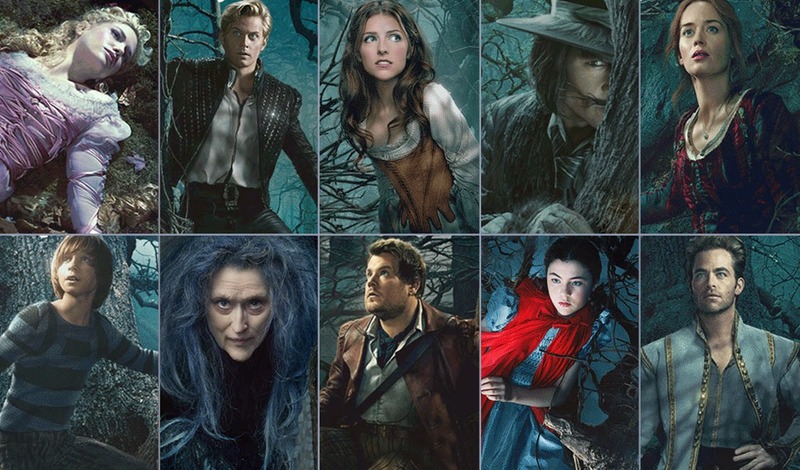 Jack, Witch, Baker, Red Riding Hood and another Prince. I personally rate it as 6.5/10. Now I'm waiting for Cinderella, coming to cinema in March! Can't wait!!! If you have read my previous post, you know I'm a huge fan of Cinderella, I've watched practically all of Cinderella's movies. Click here to read my old post about Cinderella.